I wasn’t sure what to expect when I first decided to share my story with the world. Talking about sexual assault is widely considered a taboo subject. There is a tremendous amount of stigma, harsh judgement and disinformation. Before I delve into that, I want to give you some backstory. Three years ago I released my first book ‘Under The Influence - Reclaiming My Childhood’. It was created as a form of writing therapy, as a way for me to express the embarrassing and traumatic moments of my past. The goal was to help me to come to terms with what happened to me. By writing it down I was able to look at my past from a more detached, secure and adult perspective. Putting it onto the page helped me to get it out of my mind, to slow down the rumination and start the healing process. I decided to share the book with the world at the urging of some friends. They suggested that there would be other people who are dealing with similar circumstances as my own, and they may find some solace in reading about another person’s experiences. “Under the Influence is the story of my childhood. It provides an insight into the reality of being the son of an addict, paranoid schizophrenic, chronic hoarder and drug dealer. For as long as I knew him, my dad dealt. Every day, a procession of desperate, malnourished and volatile addicts would visit our house looking to score. From a child’s perspective, they seemed to have only one goal - acquiring their next high. Growing up in this environment had a profound impact on my life and world view. In the book, I shared my experiences of physical and emotion neglect; instances where I went hungry to feed my younger brother; the fear of entertaining my father’s clientele whilst he ‘got the stuff’; the time I casually discovered a meth lab; as well as the memories of being sexually assaulted. I didn’t hold back. The reader is exposed to all of those experiences as well as my feelings about them after the fact, from my adult perspective. Here is what happened when I decided to share my story. Sadly, sexual assault is quite common. The recent virality of the ‘Me Too’ movement has clearly demonstrated this to the world. 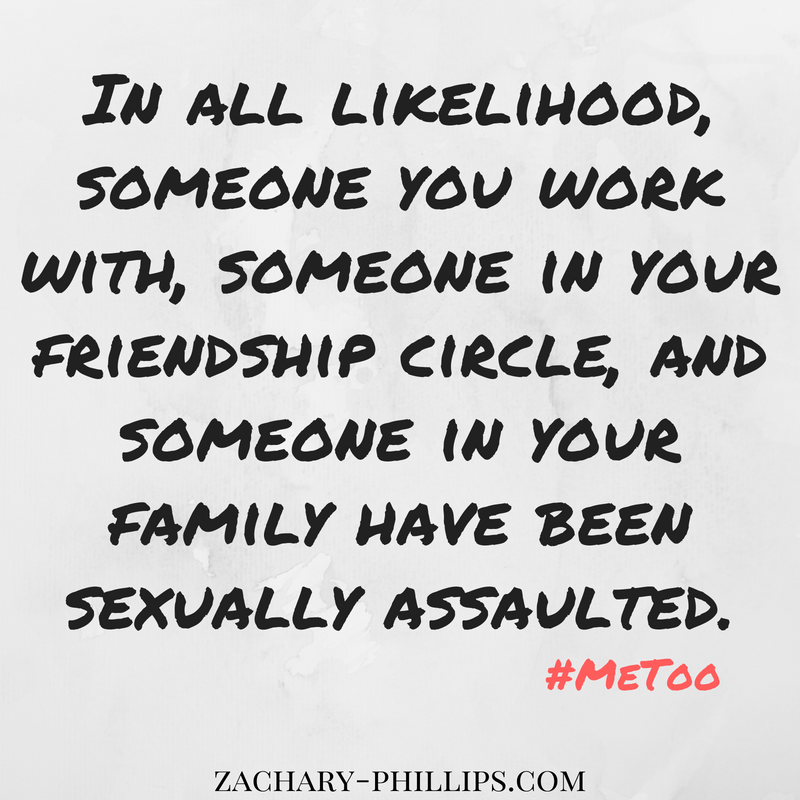 In all likelihood, someone you work with, someone in your friendship circle, and someone in your family have been sexually assaulted. When I shared my story, I was basically saying to the world that I am a safe person to talk to about sexual assault and mental illness. This resulted in lots of people opening up to me about their own experiences. To be honest, the sheer volume was overwhelming. I knew that some people had faced similar pasts, but I didn’t expect this. 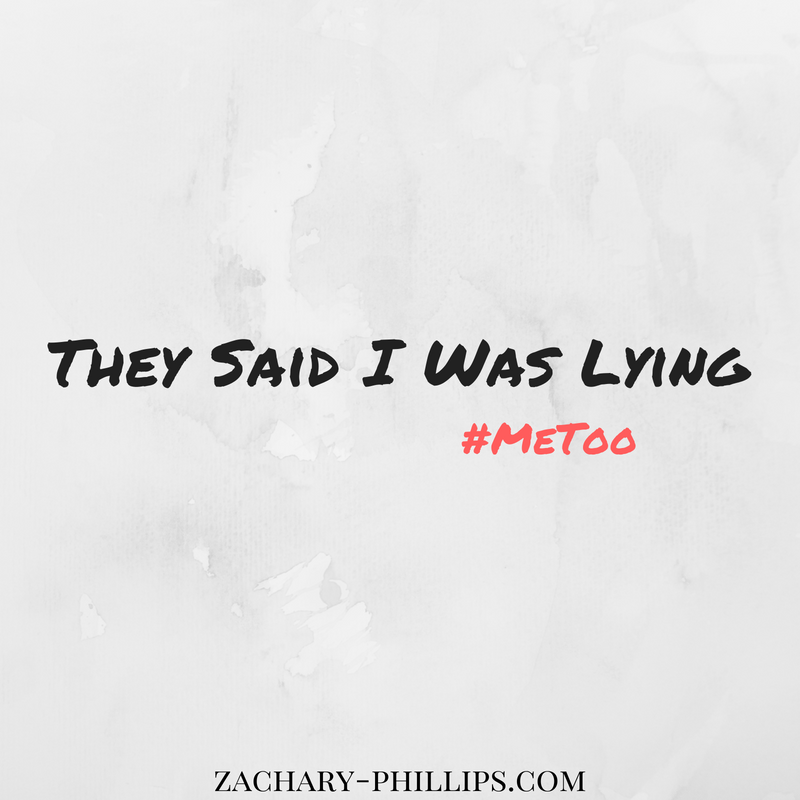 It felt like everyone I knew had either themselves personally been assaulted, or knew of someone close to them who had been. We talked, cried and discussed what it all meant. 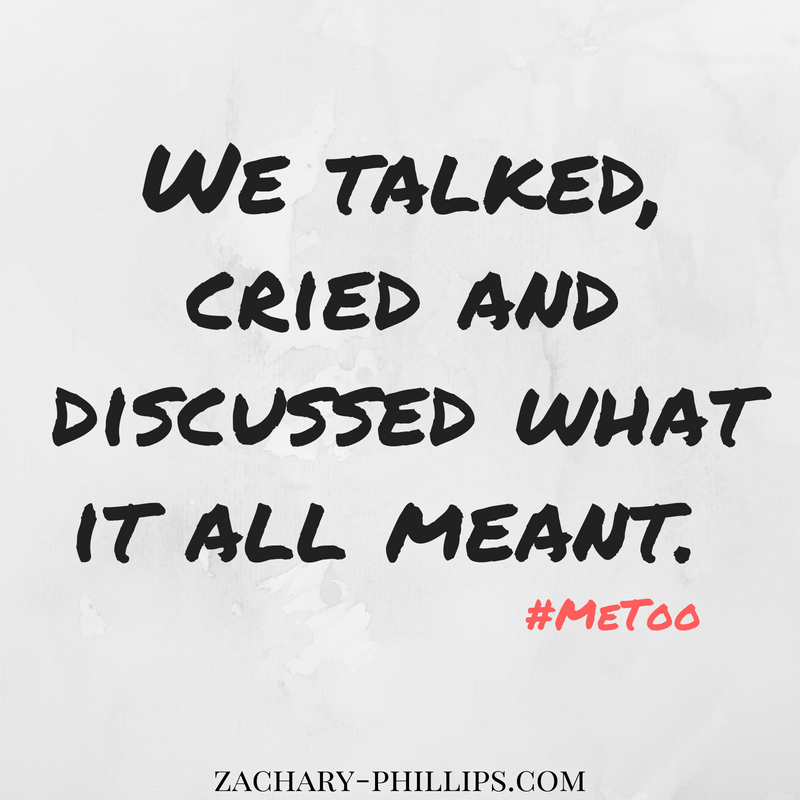 We shared with each other what had helped us to heal, as well as some of the less than pleasant experiences that they had faced when they had previously chosen to let people into their pasts – more on that below. This experience was (and is) overwhelmingly cathartic. Knowing that I am not alone, that people understand and are healing is comforting. Having someone to talk to who understands what I am going through, from their own experience, is an irreplaceable bond that I treasure. Our shared trauma connects us, and together we can grow. Growing up, my relationship with my mother was quite strained. We had personal issues of our own to contend with, but the real problem came when those issues combined with the effects of the trauma. I was in the closet about it, not willing or able to see a therapist and was subsequently suffering. I was angry, anxious, depressed, and at times suicidal. Thankfully our relationship has improved significantly since then. I know that reading Under The Influence was tremendously upsetting to her, but nonetheless she read it. The conversations that followed have really helped us to better understand each other. She let me know that she wasn’t aware of the extent of my suffering, the demise of my father’s mental state, and that given the circumstances she had tried her best. I believe her, and importantly have forgiven her. By being so frank, I am telling the world in no uncertain terms exactly who I am, what I have gone through and where I am mentally. This honesty has resulted in deeper relationships all round. The more people know about me, the more they feel safer sharing about themselves. I have had many conversations with people (friends and family) who knew my father when he was younger. Some of these people have claimed that my experiences were exaggerated, altered, or that I am lying about what happened to me in his house. The reality of the situation is that they knew him half a life ago. When he was young and bright. When he was still a functional addict. They were comparing what I wrote about my father with their memories of him. Clearly we had a different experience, but because people don’t like to have their opinions changed, some chose to believe that I was making it all up. I wasn’t, but in their minds I was. This clearly has led to some relationship breakdowns. On other occasions I was asked, ‘If it really happened, why didn’t you speak up at the time?’ Or that sexual assault wasn’t really that bad a thing to happen to someone. Or that I shouldn’t bad mouth my father as it may disgrace the family. In each of these instances, these people completely missed the mark when addressing the book with me. They failed to acknowledge my suffering or my healing process. Don’t get me wrong, I understand the anger and disappointment that they would be feeling at discovering the news that my father was a drug dealer, and that in his house I was sexually assaulted, but unfortunately their approach to addressing those feelings leaves a lot to be desired. Sadly, I expected this kind of reaction from some people. I was only half surprised to be faced with every cliché lack of understanding statement that is said when someone opens up about sexual assault. I spent hours explaining to them how as a child I didn’t know who or what was safe. That I was traumatised and that I wasn’t sure when it would end. I attempted to show them that my past has directly led to my present and that I am still suffering because of it. Thankfully some heard me out and accepted my truth. Sadly not everyone was so understanding. Here is a simple rule that everyone should follow: if someone says that they have been sexually assulted, believe them! This is a personal choice, and is one that I can’t answer for you. All I can say is that there will be pros and cons either way. Regardless, I would strongly advise you to seek the assistance of a professional therapist. They are trained to help people cope with past trauma, and have years of experience helping people to recover. In addition, there are many support groups available online and in person that could help you connect to other people who have faced similar pasts to you. Many of these are anonymous, so you can share without fear of people you know finding out. Finally, I would like to encourage you to look at my Share Your Story Project. There you will find a collection of stories from people of all walks of life, sharing their experiences with sexual assault as well as with physical disability and mental illness. This blog post was inspired by the books: "The Body Keeps The Score" and "The Stranger In The Mirror"